Amber Alerts were issued in Texas on Saturday for three siblings who were reported missing from Waterbury last weekend and were last heard from in Sealy, Texas. 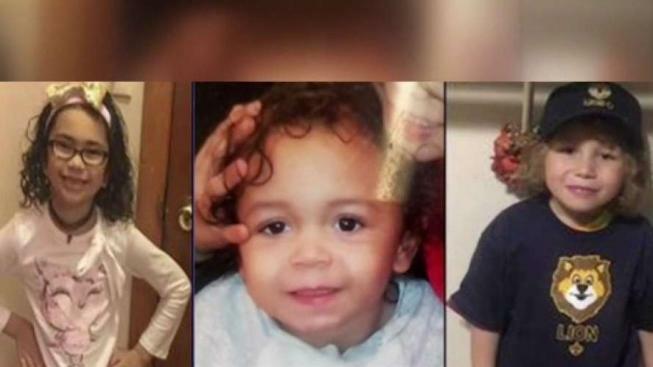 Amber Alerts that were issued in Texas for three siblings who were reported missing from Waterbury last month have been discontinued. Waterbury Police were searching for 2-year-old Maryah Matthew, 5-year-old Dylan McGrath and 7-year-old Maddison McGrath. All three siblings were reported missing from Waterbury on Saturday, February 16, and were believed to be with their biological mother, 29-year-old Crystal McGrath. Police said all three children were last seen with Crystal on February 16, 2019, at approximately 12:30 p.m.
Officers said Crystal was allowed supervised visits with her three children, but she violated the conditions of the supervised release last weekend. Police said Crystal left a McDonald's restaurant on Reidville Drive in Waterbury with the children. Her boyfriend, 38-year-old Lester Joy, was believed to be in the vehicle, authorities said. They are driving a maroon 2002 Volvo with a Connecticut license plate of 417-YTY. Police said they were searching for Crystal and Joy in connection with the kids' abduction. Officers said they were last heard from in Sealy, Texas. It was not immediately clear why the alert was discontinued.